Back in July 2015, New York Giants football player Jason Pierre-Paul visited Miami’s Jackson Memorial Hospital for treatment after a fireworks accident. News reports emerged soon after confirming Pierre-Paul had suffered a major hand injury. 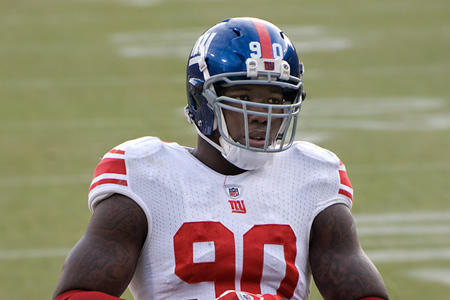 At the time of the accident, the football player was negotiating a new $60 million contract with the Giants. ESPN’s Adam Schefter managed to get hold of Pierre-Paul’s medical records and posted details of the injury on Twitter, confirming Pierre-Paul had had the middle finger of his right hand amputated. There was much debate at the time about the legality of Schefter’s disclosure, with many claiming HIPAA had been violated. Of course, journalists and news reporters are not HIPAA-covered entities, and as such are not obliged to abide by HIPAA rules. While Schefter could not have violated HIPAA, the medical information could only have come from the hospital where Pierre-Paul was being treated. HIPAA Rules did appear to have been violated, just not by Schefter. Jackson Memorial Hospital conducted an internal investigation into the potential HIPAA breach to determine how the information came to be released. That investigation was completed some time ago, but it has taken a while for any details of the investigation to be released. A lawsuit was filed against Jackson Memorial Hospital following the privacy breach, and consequently, details of the investigation were withheld. It is hospital policy not to comment on incidents that are subject to litigation. According to a statement recently released by the hospital, the litigation has now been settled. While full details of the investigation have not been released, the hospital did issue a statement saying two employees of the hospital had inappropriately accessed Pierre-Paul’s records and had been fired. Jackson Memorial Hospital nurse Immacula Richmond and secretary Brenda Johnson both had their employment contracts terminated as a result of the privacy breach. The statement does not indicate whether either employee disclosed details of Pierre-Paul’s injury to the media, only that both had inappropriately accessed the NFL player’s medical record. Schefter claims that he did not request details of the Pierre-Paul’s injury from the hospital, but was sent the information.